A. Slow down and continue through the road works zone. B. Stop and then proceed if you think it is safe. C. Stop your vehicle and follow the directions of the traffic controller. Correct. 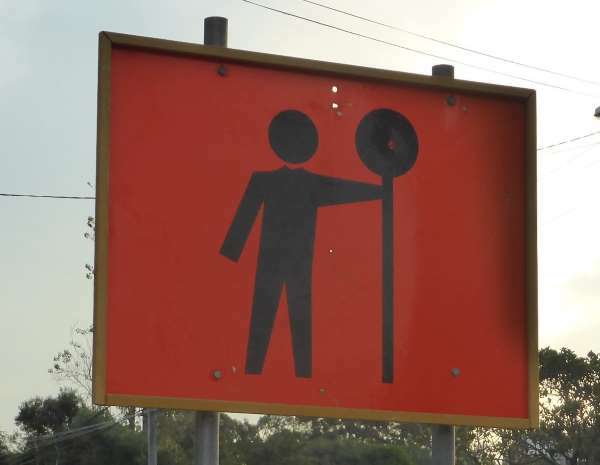 The traffic controller will let you know when it's safe to pass through the road works. There might be vehicles coming the other way, or workers or machinery blocking the lane.